Home » Be Kind by Ellen » Be Kind by Ellen Subscriptions – On Sale Now! 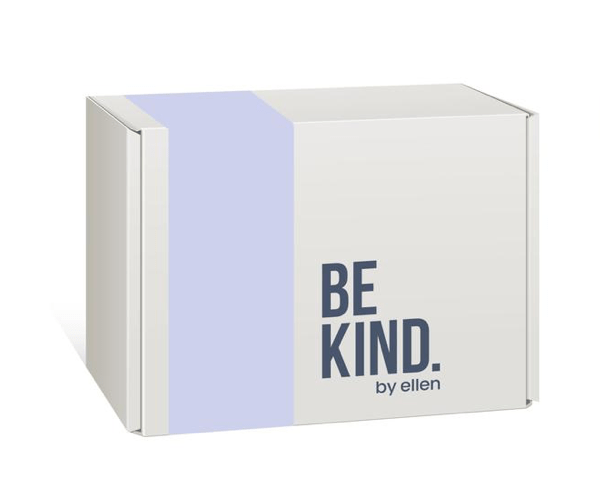 The Be Kind by Ellen subscription box is on sale now! The box is $54.99 and ships to the US and Canada on a quarterly basis. Hi! It’s me Ellen. I created this exclusive BE KIND box as a way to help people spread kindness. It’s like a warm butter knife for your peanut butter. You’ll get a box full of fun, unique, amazing products that I love and want to share with you. I also wanted to focus on brands and products that do social good. And, to top it off, LottoLove has made a donation to The Ellen DeGeneres Wildlife Fund because it believes in this cause. ← Macy’s Beauty Box March 2019 Full Spoilers!